Thomas Smith (26), then an Irish Republican Army (IRA) prisoner, was shot dead by the Irish Army during an attempted escape from Portlaoise Prison, County Laois, Republic of Ireland. 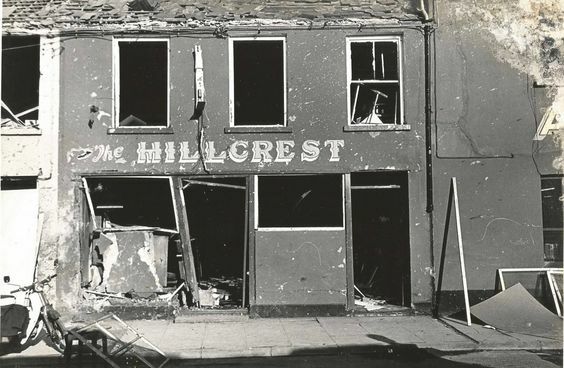 Four Catholic civilians were killed by a bomb planted by the Ulster Volunteer Force (UVF) outside the Hillcrest Bar, Donaghmore Road, Dungannon, County Tyrone. David Jones (23), a British soldier, was shot dead by the Irish Republican Army (IRA) during a gun battle in a field near Maghera, County Derry. Jones had been undercover at the time. Francis Hughes, then a member of the IRA, was arrested following the incident. 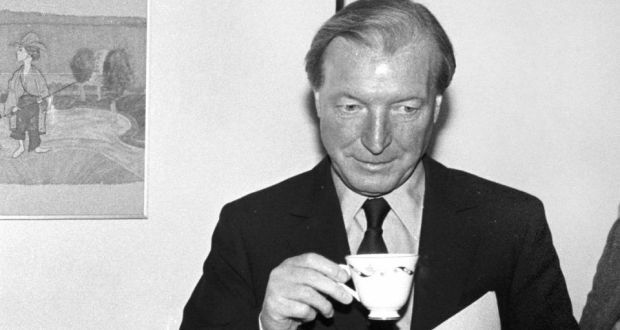 Charles Haughey, then Taoiseach (Irish Prime Minister), paid a visit to the United States of America (USA) as part of St Patrick day celebrations. During the visit he called on the US government to put more pressure on Britain to consider the possibility of Irish unity. Ronald Reagan, then President of the United States of America (USA), said that those who supported terrorism were no friends of Ireland. 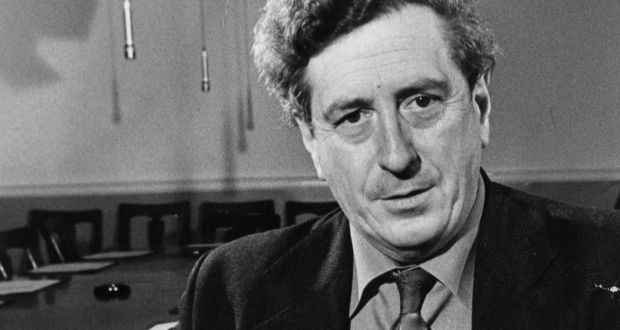 Edward Kennedy, then a United States (US) Senator, proposed a senate motion calling for a united Ireland. Dominic McGlinchey, then considered leader of the Irish National Liberation Army (INLA), was recaptured after an exchange of gunfire with the Garda Síochána (the Irish police) and immediately extradited from the Republic of Ireland to Northern Ireland. 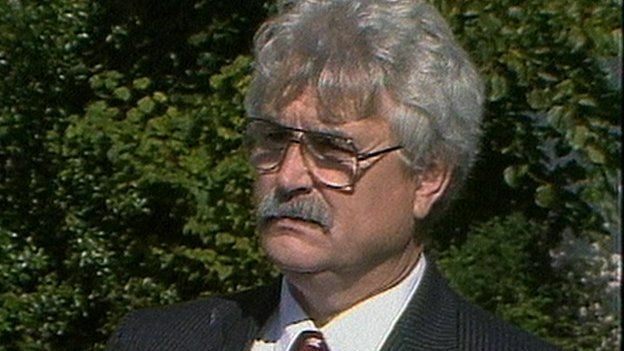 He became the first Republican to be extradited to face charges related to the conflict in Northern Ireland. 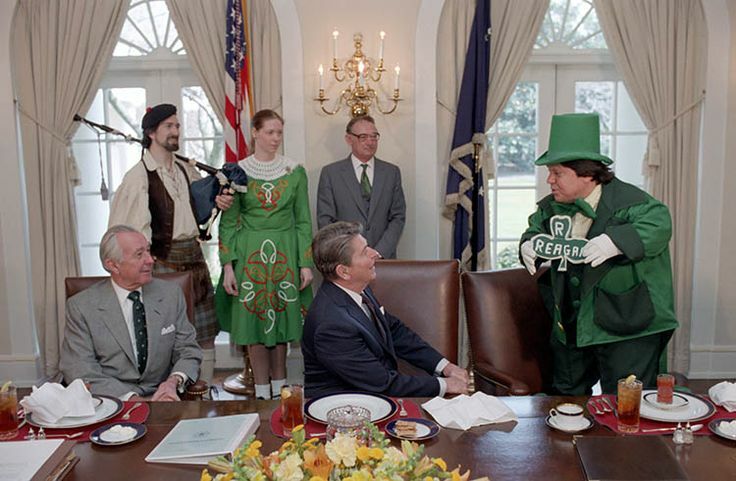 Garret FitzGerald, then Taoiseach (Irish Prime Minister), was in Washington for the St Partick’s Day celebrations and to meet with Ronald Reagan, then President of the United States of America (USA). St Patrick’s Day. Ronald Reagan, then President of the United States, announced the first payment of $50 million to the International Fund for Ireland (IFI). The IFI was one of the initiatives in the Anglo-Irish Agreement (AIA). Bill Clinton, then President of the USA, attended a St Patrick’s Day conference in Washington and called upon the Irish Republican Army (IRA) to “lay down their arms”. The Ulster Unionist Council (UUC) held its annual general meeting. James Molyneaux, then leader of the UUP, addressed the meeting and rejected any proposals for north-south political institutions as part of a political settlement. Gerry Adams, then President of Sinn Féin (SF), attended the St Patrick’s Day reception hosted by Bill Clinton, then President of the United States of America (USA), at the White House. A delegation from the Ulster Democratic Party (UDP) also attended the reception. The group met with Edward Kennedy, then a US Senator. 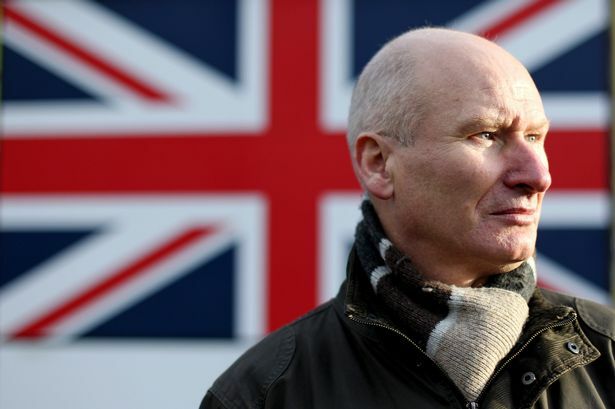 Billy Hutchinson, then a spokesperson for the Progressive Unionist Party (PUP), received a warning from the Royal Ulster Constabulary (RUC) that the Irish National Liberation Army (INLA) was planning to assassinate him. John Kinsella, who had been sentenced in 1994 for 20 years for possession of explosives, had his case referred to the Court of Appeal in London. John Major, then British Prime Minister, announced the date of the general election as 1 May 1997. First St Partick’s Day Parade in Belfast Loyalist paramilitaries carried out a bomb attack on St. Comgall’s parish centre in Larne, County Antrim. 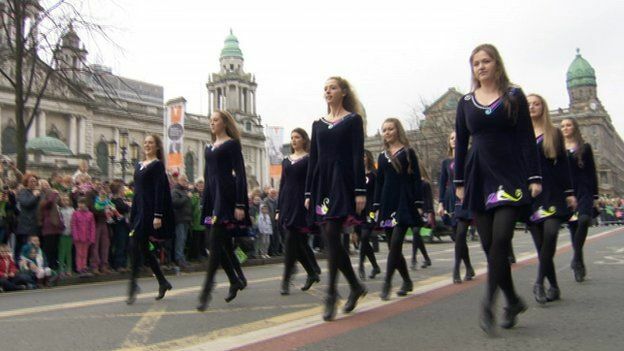 An ‘official’ St. Patrick’s day parade took place in Belfast. In the cafeteria of the House of Commons Ken Maginnis, then Security Spokesperson of the Ulster Unionist Party (UUP), took down two ‘tricolour’ flags that were part of a display for St. Patrick’s day and threw them into the Thames river saying he “did not think they would pollute the river too much”. This incident happened while his colleague and party leader David Trimble was in the United States of America (USA) for the St Patrick’s day celebrations. While in Washington Trimble had a meeting with Bill Clinton, then President of the United States of America (USA). Clinton was believed to have urged Trimble to hold a face-to-face meeting with Gerry Adams, then President of Sinn Féin (SF). A number of other Northern Ireland politicians also made the trip to the USA for St. Patrick’s day. 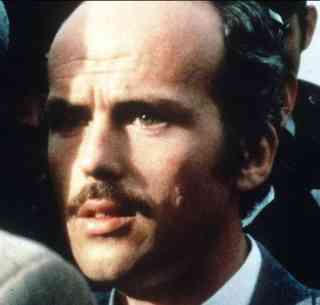 Frankie Curry, a prominent former member of the Red Hand Commando (RHC), was shot dead in a street off the Shankill Road. The Red Hand Defenders (RHD) blamed the Ulster Volunteer Force (UVF) for the killing. There were violent confrontations in Portadown, County Armagh, with 40 Royal Ulster Constabulary (RUC) officers being injured. Vigils were held across Northern Ireland in protest at the killing of Rosemary Nelson on 15 March 1999. Bill Clinton, then President of the USA, urged political leaders in Northern Ireland to lift their sights above short-term difficulties when he was presented with shamrock by Bertie Ahern, then Taoiseach (Irish Prime Minister), at the White House. 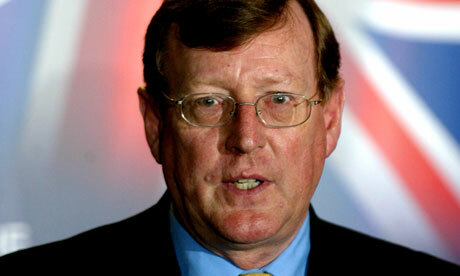 David Trimble, then leader of the Ulster Unionist Party (UUP), held a 30 minute meeting in the White House with Gerry Adams, then President of Sinn Féin (SF). While St Patrick’s Day events took place in over 500 cities all over the world there was no official parade in Belfast. The Unionist controlled Belfast City Council had withdrawn funds for the parade. Killed in land mine attack on British Army (BA) mobile patrol, Parkanaur, near Dungannon, County Tyrone. Died in premature bomb explosion while parking car outside Kirk’s Lounge Bar, Cloughfinn, near Lifford, County Donegal. Shot by sniper while on Royal Ulster Constabulary (RUC) mobile patrol, Rathmore, Craigavon, County Armagh. Shot by sniper while on British Army (BA) mobile patrol, Foyle Road, Brandywell, Derry. Shot while walking across waste ground, off Malvern Way, Shankill, Belfast. Red Hand Commando (RHC) / Ulster Volunteer Force (UVF) dispute.